Long Now Executive Director Alexander Rose and former SALT Speaker Chris Anderson will appear this weekend in an event that seeks to bring together Italian artisanal design with Silicon Valley innovation. 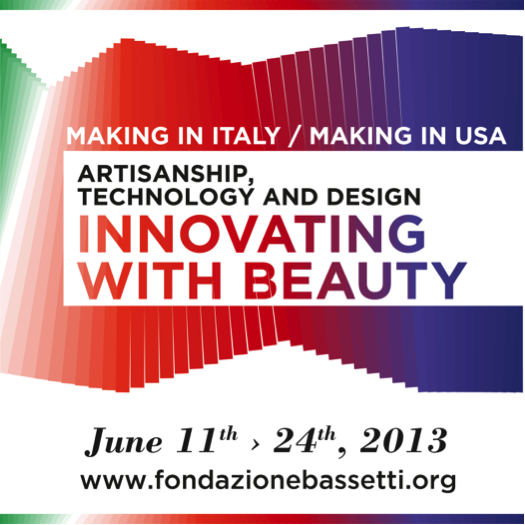 Innovating with Beauty runs through June 24th and features symposia, workshops and exhibitions exploring the possibilities of collaboration between Italy’s design community and Silicon Valley technologists and makers. Chris Anderson will give the opening speech for a symposium called From Taylorism to Tailor Made on Saturday June 22nd beginning at 2:00pm. Other participants in the symposium include MAKE’s Dale Doherty and Long Now’s Alexander Rose. The event will be at San Francisco’s Academy of Art University. The public are welcome to attend this free symposium and can view the event’s details here. Other events include the opening of “The New Italian Design,” an exhibition at the Academy of Art University and “From Made in Italy to Make in Italy”, a workshop and exhibition featuring Italian designers and engineers.